On 10 March 1965 the first nasho’s birthdate was drawn from a lottery barrel at the Department of Labour and National Service in Melbourne. Over the next seven years, a total of 63,740 young Australian men would be drafted into the army and face the prospect of being sent to war. The nashos came from all walks of life: plumbers and dentists, footballers and musicians, Christians and Jews, willing and unwilling. Some spent their two years square-bashing in Singleton. Others went to Vietnam to fight — and die — in Australia’s bloodiest battles, including the slaughter at Long Tan. Here, Mark Dapin dramatically deconstructs the folklore of Vietnam and national service. Drawing on the accounts of over 150 former national servicemen, The Nashos’ War tells a vastly more personal and nuanced story of national service and Australia’s Vietnam War than that previously heard. Most powerfully, it records with extraordinary intensity what it was like to be a bank clerk one day, and fighting for your life in the jungles of Vietnam soon afterwards. 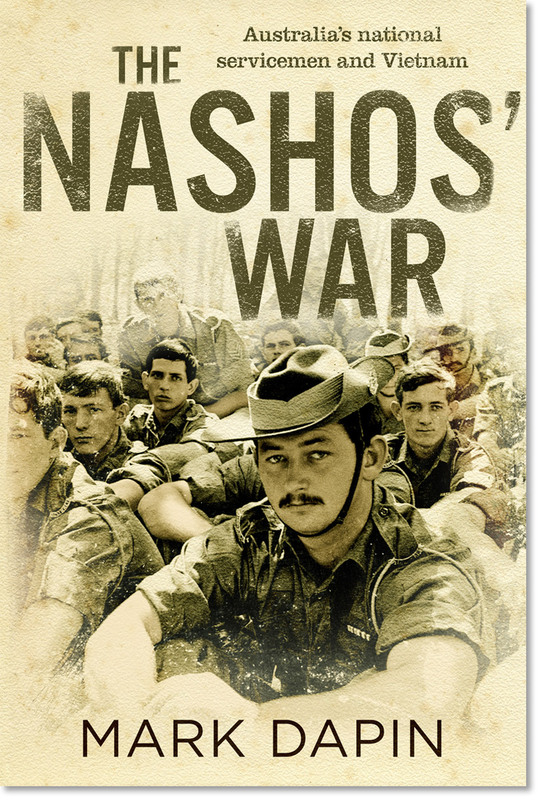 What the judges said: “In The Nashos’ War Mark Dapin has written an enthralling history of the Vietnam War from the perspective of the young Australians who were conscripted to fight in it. Composed with a novelist’s flair for narrative, an eye for character, and a deep respect for the fearful drama of combat, it is an exemplary instance of history from below. Dapin has drawn on the conscripts’ surviving testimonies to fashion a vivid, humane and personalised account of their dislocating and often harrowing experiences.